Used for my S/S 2016 Ready-To-Wear Collection entitled "Vert". The line work is extracted from a picture taken of Montmartre rooftops while in Paris which serves as the main inspiration throughout the collection. I developed a collection of 9 prints, which originated from a single hand drawn motif. In using a combination of 2 prints from the collection I designed and made a handbag complete with embroidered embellishment. I extracted line work from pictures which originated from a 3-Doodler Shadow Installation. Inspired from embroidery on a Matadors' outfit while at my internship with TIBI. 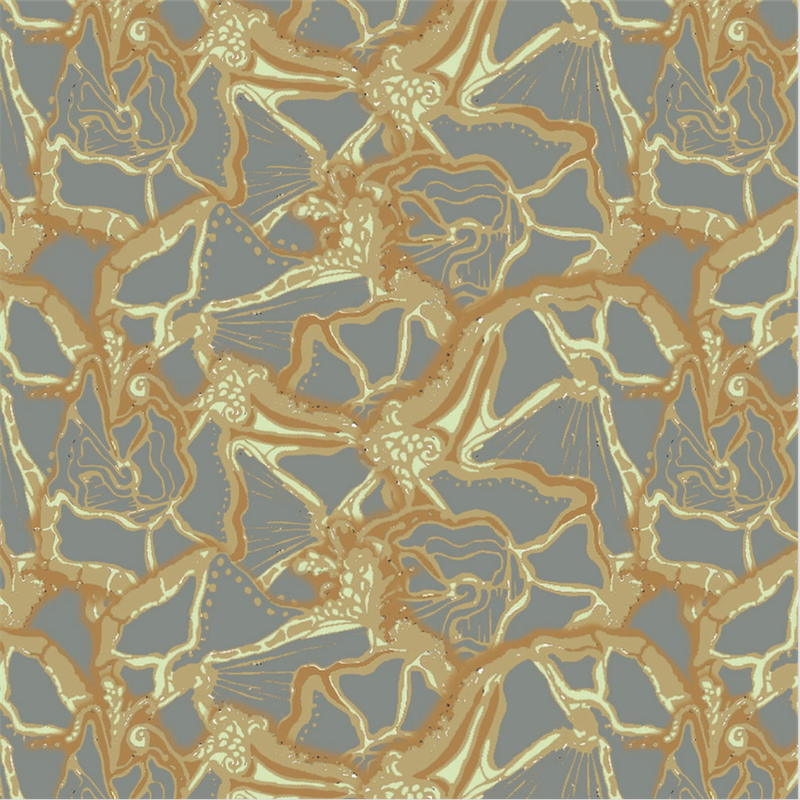 Paisley Design Competition Finalist for 2015 the High Cotton Paisley Design Competition. Print originated from hand drawn motif. I developed a collection of 6 prints which originated from a single hand drawn motif, inspired by the reflected colors in gold freshwater pearls. Using 1 print from the collection I designed and made a tunic dress. Hand and machine embroidered samples. Printed on cotton sateen with a silk organza overlay. Patterns generated from a single motif extracted from line work in a hand drawn picture. Screen printed color exploration samples.